Beloved Yogiar S.A.A. Ramaiah left the physical body on Guru Purnima Day, July 12, 2006, in Kuala Lumpur, Malaysia, at the age of 83. He has been laid to rest in the Mahasamadhi Shrine of the Athanoor Palaniandavar Kovil. A very unique and special teleconference interview was recorded with Dr Lawrence T Bond (who was a disciple of Yogiar's for over 25 years and traveled with him worldwide) & Michele Blood with Yogiar in May 2005 to people worldwide The Yogiar RingTones we have here are taken from this interview. Yogiar appeared to Ms Blood in a dream the same night that he transcended and told her to do RingTones of his Om Shanti Shanti Shanti so that the monies from the RingTones would be put towards his projects and also so that his followers could be reminded of the great truth of peace. Ms Blood found out from Mr Bond 2 days after her dream that Yogiar had passed away. She had called Mr Bond and her friends to share her dream before she knew as she was so happy about her dream. We see here that even though his body had passed away his spirit was already looking after ways to help others and his work. We have lovingly recorded these RingTones along with other special sayings that Lawrence personally chose that he felt were the essence of what Kria Yoga and Yogiar's message is about. The great deathless Maa Siddha Kriya Babaji Nagaraj of the Himalayas initiated Yogiar into Kriya Yoga in 1948, and then assigned him to carry the art and science of Kriya Yoga to all corners of the world. To this end, Yogiar Ramaiah founded Kriya Babaji Sangah in the San Thome section of Chennai, India, in 1952, and his International Babaji Yoga Sangam now includes 50 centers worldwide. It has always been Yogiar's will that these centers be nourished and maintained as if they were his own natural children. They are, and will remain, havens for those who would "seek Babaji to become a Babaji". Yogiar was one of the first to bring yoga to America, establishing ten centers in the U.S.A. and Canada. Over the years, Yogiar blessed more than 2000 souls with dikshai and initiation into Babaji's powerful techniques. To further spread Babaji's message of Unity in Diversity, Yogiar presided over fifty-two consecutive, annual Parliaments of World Religion and Yoga, beginning in 1954. This wonderful tradition has continued with the 54 th Parliament of World Religions of Yoga which was held in Sedona Arizona by his disciples on August 26 and 27, 2006. 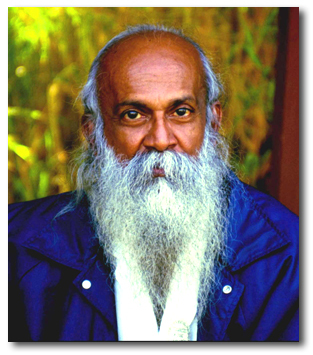 Yogiar established temples in several locations: The Richville Murugan Temple in New York State; the Imperial Desert Ayappa Swami Cave Shrine in California; the Parengipettai Babaji Birthplace Shrine in Tamil Nadu, India; the Yuma Babaji Ramalingeswarar and Palani Murugan Kovils in Arizona; the Washington D.C. Babaji Kovil in the U.S. capital; the Katirgamam Babaji Kovil in Sri Lanka; the Grahamsville Kali Kovil in New York's Catskill Mountains; and the Athanoor Palaniandavar Kovil and Mahasamadi Shrine in Tamil Nadu, India. Throughout his life and even after illness Yogiar remained tirelessly dedicated to the work of Sathguru Babaji, right up to the end. In this respect , he was superhuman and absolutely phenomenal; but his physical suffering was very human and full of pain that he endlessly pushed aside, so that he could continue the work on and on into the wee hours of the morning, every day with never a break. Yogiar built the sangam on the bedrock of family values. With Babaji as Father and Kriya Annai Nagalakkumi as Mother, an unshakeable sense of security and shared sense of purpose binds as brothers and sisters, the sangam's culturally and attitudinally diverse sadhaks and devotees. The yoga centers and temples he established seem infused with the sadhanas and yogic disciplines he practiced. These centers and temples have been built with hammer and nail, brick and mortar, hard-earned money, and Divine Love; they are simple refuges, where suffering humanity may resonate harmoniously with the Divine Will, and thus find relief, hope, and visions of a more compassionate future. It seems terribly inadequate to describe Yogiar by presenting a chronology or listing his accomplishments. Everything he did seemed to be a channeling of Divine Love, even if we weren't capable of immediately appreciating and understanding this. Indeed, so effective and consistent was this channeling, that for all intents and purposes, he was, to us, Divine Love incarnate. Those who wish to honor Yogiar may kindly devote their lives to God and Truth. Note: After costs to the software companies, who make it possible to download these blessed RingTones onto mobile/cell phones all over the world, $1.25 for each Yogiar RingTone sold goes to Yogiar's projects as he requested and that Mr Lawrence T. Bond, his beloved disciple, was to look after.